Earlier this month, the second annual San Diego Cardiovascular Interventions (SDCI) conference was held in La Jolla, CA. The two-day meeting focused on robotics for coronary and peripheral interventions and CHIP, or Complex High-Risk (and Indicated) Patients. 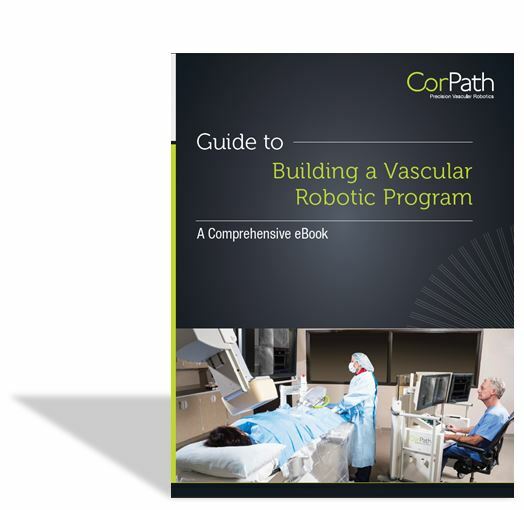 Robotic therapy is changing how procedures are performed in the cath lab. 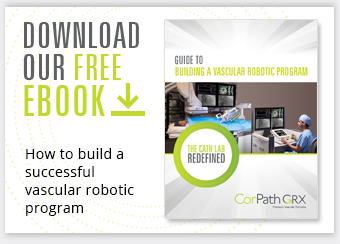 A successful robotics program will not only enable cath lab teams to provide a high level of patient care but can also significantly reduce procedure-related health risks among interventional clinicians working in the cardiac cath lab. However, building a successful program requires a clearly identified team, commitment from the institution, and a focus on clinical training. Over the past several years, as more data is published, the discussion about the harmful health effects of chronic, low-level exposure to ionizing radiation among interventional cardiologists and their teams has become more prominent. 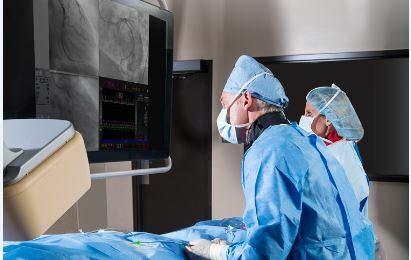 Now, another study on occupational health risks in the cath lab receiving national media attention has called attention to this issue and highlighted additional risks. Earlier this month, the Society for Cardiovascular Angiography and Interventions (SCAI) held their annual Scientific Sessions in Orlando, FL. The meeting featured the presentations and discussions on the latest clinical data in interventional cardiology and emphasized the mission to "Save and Enhance Lives." Beginning with this meeting, one of the key initiatives SCAI will focus on this year is workplace safety. There is a growing body of data that sheds light on the serious occupational risks that cath lab teams face over the course of their careers. In the last 18 months, there has been a significant increase in the data that has been published and new findings such as increased risk of premature vascular aging and cognitive impairment have shed light on the scope of the problem. Over the past 18 months there has been a surge of news highlighting incredible technological innovations around the globe. Many of those stories have one theme in common – they focus on major advancements in robotic technologies. It is beginning to feel like we are at the dawn of a “Jetsons”-like era where robots are able to do everything from walk your dog to vacuum your floor and schedule your day. Robots are continuing to develop and will help us to perform our daily tasks and set a new standard for how we live our lives. Earlier this month, Corindus participated in the American College of Cardiology’s Annual Scientific Sessions in Chicago, IL. The meeting featured top research in both general and interventional cardiology including updates on the latest studies and trends. 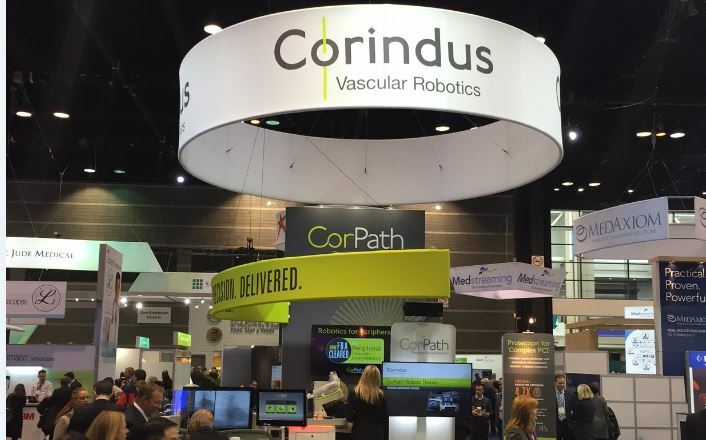 Attendees of the conference were able to experience complex robotic-assisted PCI in the exhibit hall at the Corindus booth. The demonstration included a full robotic system with an advanced simulator to give attendees a “real-life” experience of how robotics will fit into their lab. Each year, interventional cardiologists gather in Washington DC for the Cardiovascular Research Technologies (CRT) Meeting which is organized by MedStar Washington Hospital Center. This year’s meeting featured new tracks highlighting cardiovascular innovation, a keynote by former Massachusetts governor Mitt Romney, and the several special symposia including a focus on women in interventional cardiology. The meeting continues to exceed expectations and this year featured the highest attendance yet.